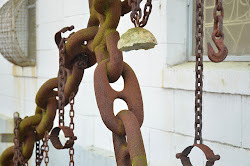 Mother Jones, "Bury the Chains: An Interview with Adam Hochschild, author of Uncovering the history and enduring impact of the world's first human-rights campaign," by Dave Gilson on 10 January 2005 -- In the late 18th century, a small group of Englishmen went out on a limb and put forward the radical notion that slavery was wrong. 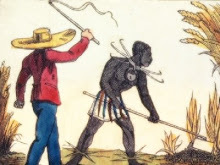 At first, their proposal that Enlightenment ideals of equality and liberty should be extended to the millions of African slaves held in Britain’s colonies looked like a non-starter. “The idea of ending slavery seemed totally Utopian, crackpot, wildly too idealistic,” says journalist and writer Adam Hochschild. Yet, as Hochschild recounts in his new book, Bury The Chains: Prophets and Rebels in the Fight to Free an Empire’s Slaves, these abolitionists proved themselves right in far less time than anyone might have imagined. 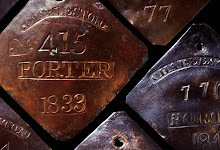 Slightly more than 50 years after its humble birth in a London print shop in 1787, the British antislavery movement overturned the atrocity that had formed the economic backbone of the world’s most powerful empire. 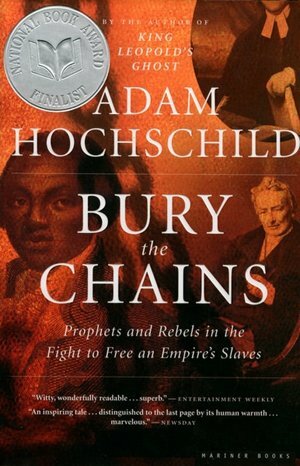 Hochschild credits much of that vision to Bury the Chains’ protagonist, Thomas Clarkson, a tireless agitator who crisscrossed England making the case against slavery, only to be written out of the popular histories of the movement he built. 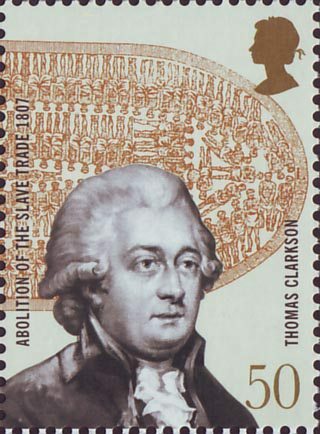 Clarkson was joined by a cast of characters that included Olaudah Equiano, a former slave whose eloquent memoir made him a literary and political celebrity, and John Newton, a repentant slave ship captain who wrote the hymn “Amazing Grace.” Together with a coalition of reformers and nonconformists, they powered the “moral steam engine” that propelled an ideal that today has almost near-universal acceptance. Hochschild spoke with MotherJones.com at his home in San Francisco. MotherJones.com: How did you come across the topic for this book? 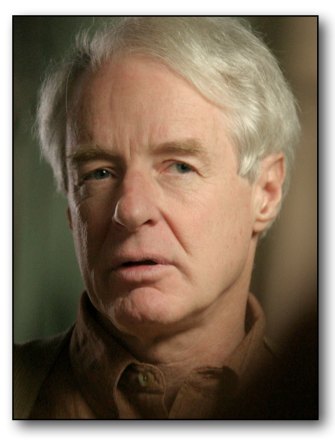 Adam Hochschild: As with many books, I started off trying to do something else entirely. I had long been fascinated by the character of John Newton, because I always like stories of personal transformation. The idea that this former slave trader had become an abolitionist and would write this beautiful hymn long intrigued me. So I had the idea of doing a biography of him. I started looking into his life and fairly quickly discovered that didn’t fit the script that I had in mind. 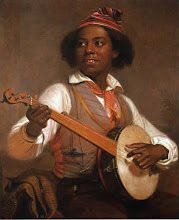 He left the trade for medical reasons and not out of belief and kept all his savings invested with his former employers, even while he was a minister and started to write these hymns. He never said a word in public about slavery for more than 30 years after leaving the sea, and only spoke up when some guy named Thomas Clarkson, whom I’d never heard of, came to see him. So I began to wonder, “Who is Thomas Clarkson?” Gradually, it dawned on me after three or four months of going up the wrong path that the story was the movement and not Newton. MJ.com: Clarkson is a figure that most people haven’t heard of, particularly since William Wilberforce gets most of the attention for ending British slavery. Is that something that you wanted to rectify? AH: Yes, and I also got fascinated by this process of making Wilberforce the central figure. Wilberforce has always been more politically convenient to lionize as the hero. He was such a respectable figure of the establishment, while Clarkson was quite a radical and quite a rabble-rouser, especially in his younger days. To me, he is by far the more interesting figure: riding 35,000 miles by horseback all over England, and going out again in his 40s and his 60s and making the rounds. An incredible man. He really got shortchanged by history. 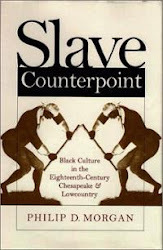 MJ.com: Did you write this book because you thought there was something about slavery that Americans should know more about? AH: Well, I would say no to that. In recent years, there has been a huge amount of information about slavery out there; it’s in the school curriculum in a big way. But I am always struck by how, in so many ways, we are so Americanocentric. 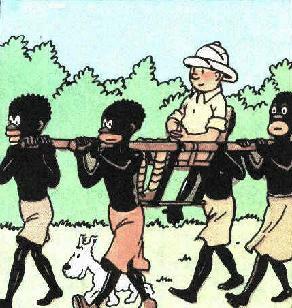 Most people in this country know relatively little about how it came to an end in the British Empire. It’s written about by academics a great deal, but it’s not part of the school curriculum; it’s not part of general knowledge. To me, it’s such an interesting story because it involves this tremendous movement that was the prototype of every citizen action movement since then. MJ.com: That raises a major point you make in the book. What was so innovative about the tactics used by British anti-slavery movement? AH: It was the number of tactics that struck me. For instance, that poster of the slaves packed like sardines into a slave ship, the diagram that I’ve seen a hundred times -- I’m sure you have too. It’s on the cover of every book about slavery. It was so fascinating to me that these were the folks who reproduced it widely -- it was put up in pubs all over England. 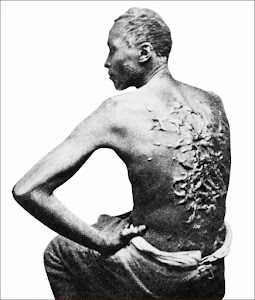 The image of the kneeling slave [with the slogan] “Am I not a man and a brother?” was really the prototype of modern campaign buttons. The idea of surveying candidates for office and publicizing where they stood on the issues -- nobody had done that in a systematic way before. It’s exactly what happens when you get a report card from the League of Conservation Voters today. I found what I think is the first direct-mail fundraising letter, asking for a contribution “at least as big as last year’s.” There was one technique after another like this. There had been organizations pushing for one thing of another in England, but the idea of that kind of civil society lobbying was very much in its infancy. This was by far the most sophisticated such group. MJ.com: The campaign and its ideals seem so modern and yet the activists were living on the cusp of the modern world, at a time when three-fourths of the world was in some kind of servitude. Even most British citizens couldn’t vote. AH: More than 95 percent couldn’t vote. Yet they nonetheless felt themselves to be citizens. There were more people who signed anti-slavery petitions at the height of the petition drives than were eligible to vote. 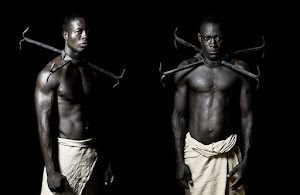 MJ.com: The planters responded to the antislavery movement with their own P.R. 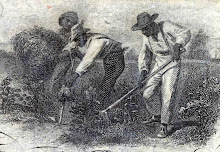 campaign, which put on pro-slavery plays and recommended referring to slaves not as slaves but as “assistant planters.” Can you talk more about that? AH: They were like a modern industry; they organized to protect themselves and they knew that public relations was an important part of the battle. They were quite taken by surprise when the movement caught on; it had not occurred to them that something like this would happen. And it took them w awhile to get their act together. 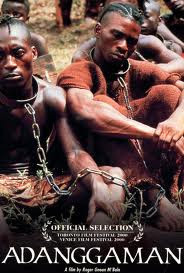 I think they were at a disadvantage because it is hard to make effective propaganda that people like to be enslaved. They did so nonetheless. It’s so much fun to see echoes of modern times way back then. 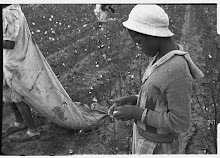 MJ.com: You focus mostly on the individuals behind the antislavery movement. How indispensable do you think those individuals were? If there hadn’t been a Clarkson, would someone else have taken his place? AH: Fascinating question. Something would have happened, but it might not have happened in quite the same way, or it might not have happened quite so quickly. I think it would have caught on for all these big social reasons, that it was a movement waiting to happen, but it might have been a few years later. Individuals can make a difference. But I think it’s pretty hard for them to conjure a movement out of nothing when it’s not ready to happen for social reasons. The example I use in this book is Clarkson traveling around England for five months, and how it crystallized this movement and got it rolling. 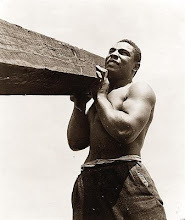 But five years later, he spent six months in France and could accomplish nothing because it was not ready to happen. 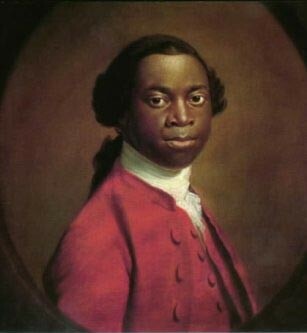 MJ.com: Can you talk more about Olaudah Equiano, the former slave who becomes one of England’s most visible antislavery activists? He’s a fascinating figure, and one of the few who continues to be read today. AH: His book was a bestseller in his lifetime, stayed in print intermittently afterwards, then for more than 100 years it was completely forgotten. 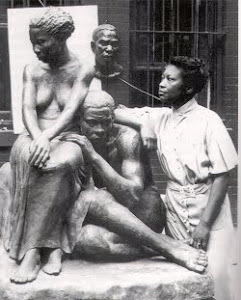 Then, in the 1960s, it was rediscovered and now it’s widely assigned in college courses. I find him a quite a fascinating and very sympathetic figure, especially when you compare him with other people writing at that time, both black and white. He was really one of the first to talk about slavery in terms of his own experience. He cared passionately about stopping slavery and he knew his book could be a weapon against it. 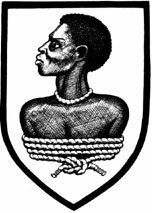 MJ.com: As important as the movement in England was, how important were the slave revolts in the Caribbean in putting pressure on things? AH: All along the British had this tremendous fear of slave revolts, of which there were many, usually fairly quickly suppressed. 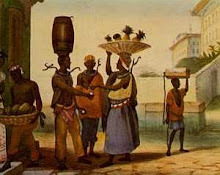 But the 1831-32 revolt in Jamaica was a much bigger affair. 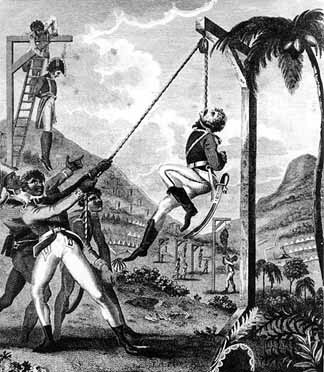 It was by far the largest slave revolt that took place on British territory. I think it was a real factor in getting emancipation finally through Parliament, which hasn’t been given enough credit. The mythology in England clusters so much around glorifying Wilberforce and aristocratic benevolence that they tend to push aside the things like slave revolts. MJ.com: You clearly did a lot of documentary research for this book. Where did your research take you? AH: I made a couple of short trips to England. I wandered around the parts of London where these things happened. And then I wanted to see some of the sights in the West Indies. With a Jamaican friend, I spent a couple of days tramping around western Jamaica, the area where the slave rebellions were. We were looking for ruins of old sugar plantations. Once you get off the tourist track, it’s a totally different country. The history is very much alive there. We had a wonderful odyssey. 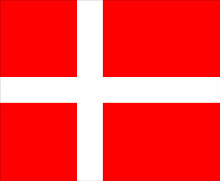 In the book, there is a picture of a Jamaican guy holding this sword which had come down to him from this family. It’s a British officer’s sword that was apparently captured in the Maroon War of 1795 that I talk about in the book. 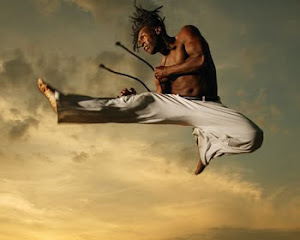 I was so intrigued when I saw this picture, I wanted to see it and I thought that would be a fun quest in Jamaica. So we went to the little village way up in the mountains where this war had taken place. The guy wasn’t there, but we started asking people whatever happened to that sword. We went to the community center and there was this sword in a glass case and I picked up sword and noticed the hilt was plastic and on the bottom it said, “Made in India.” They said, “Oh, so-and-so has taken the sword and moved away to Falmouth” -- which I fear is large enough to have an antique dealer’s shop in it. So we never found the original sword in this photo, but it’s always fun to have a quest like that. 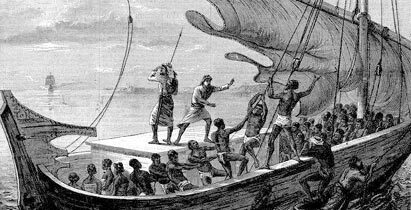 MJ.com: Slavery helped make England into the imperial power it was during the 18th and 19th century. 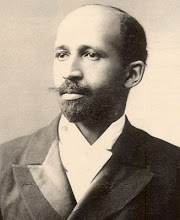 Has that influenced your view of the debate over reparations? 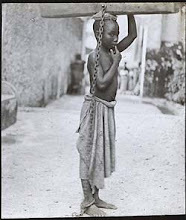 AH: There’s no question that slavery was a huge part of the economy of a lot of European nations and the United States. Reparations are something I have very mixed feelings about, because obviously there’s a moral sense that reparations ought to be paid. But I’m very skeptical of it as an approach for a couple of reasons. First of all, historically, I think it is extremely difficult to know how to apportion the blame. 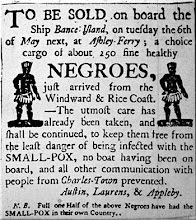 What about the African slave traders who sold these people to the se captains? 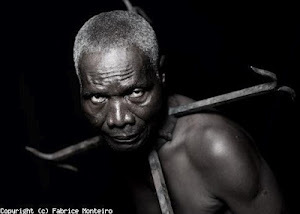 What about the African chiefs and kings who kept slaves? Should they be paying reparations, too? 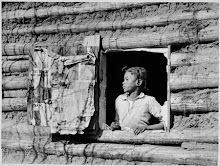 If you have reparations for something like slavery which goes back a couple of hundred years, how far back in history do you go in calculating these things? Is there a cut-off point? I think it’s an impossibly difficult set of things to get into. And I also think it distracts somewhat from working on the things that make this such an unequal world today. 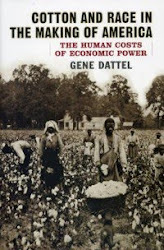 Rather than arguing over reparations, I’d rather see people work on constructing a much more equitable global trading system where there really would be a level playing field, where agricultural exports from the U.S. and Europe wouldn’t be so heavily subsidized, making it impossible for Third World farmer s to sell their crops. That’s happening in Jamaica right now, where farmers are going out of business because produce from the U.S. is selling for less than they can afford to sell their stuff in the markets. 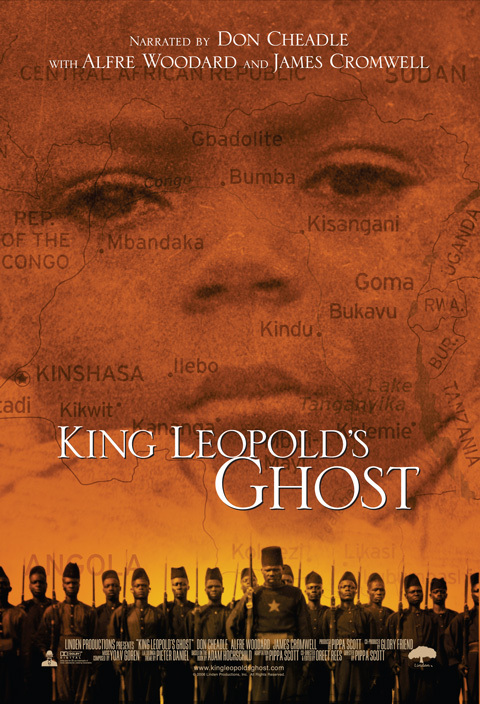 MJ.com: Your last book, King Leopold’s Ghost, sparked a lot of discussion and controversy. What kind of reaction do you hope this book provokes? AH: In a time that feels politically grim, especially for anyone in the U.S. who cares about social justice, I hope people will take heart from a story of folks who started a campaign at a time when it looked even grimmer. 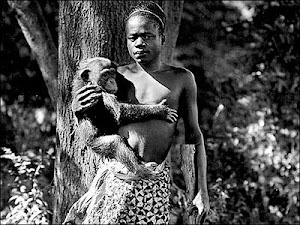 The idea of ending slavery seemed totally utopian, crackpot, wildly too idealistic. But they succeeded. And they succeeded in 50 years, in the lifespan of some people, like Clarkson. They went through some very grim times, one of them being the long wartime period like the one we’re seeing now. 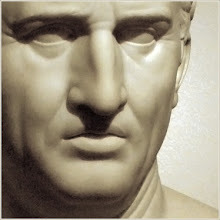 Wartime is bad news for progressives, and it was the same thing [during the Napoleonic wars]. So I guess to the extent that it’s possible for a book like this to have any effect, I would just like to see it have the effect of making people working for justice today feel heartened and to know that any big struggle will always be a long one with many setbacks. MJ.com: Yet progressives right now are thinking in four-year chunks, or even two-year chunks.